The process of hair implants at PHAEYDE’s Hungarian clinic, starting from consultation all the way to hair implantation, a detailed explanation.Ask about the important details concerning hair implants at PHAEYDE and about what you should pay attention to after the procedure. Process of hair implants at the PHAEYDE Hair Implant Clinic. The process of hair implants at PHAEYDE’s Hungarian Clinic. In order to reach submenus located on this page, please press one of the following links. What do I need to watch for after the hair implant? At the free consultation you will have a chance to discuss all open questions with a hair implant specialist. The professionally-prepared and friendly staff are constantly striving to give you the best service and a pleasant atmosphere at PHAEYDE. 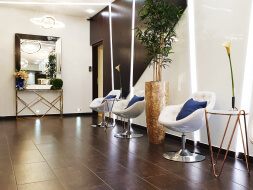 You can reach the PHAEYDE Hair Implant Clinic Consultation. You can even use our online contact form to send us the pictures of your head, and we can give you an exact price quotation. The hair implant consultation is free of charge and without obligation. Your health is important to us, that is why it is so important, during the consultation and before the procedure for you to fill out a medical history form, in the interest of excluding any risk factors. The medical history form will determine any routinely taken drugs, as well as the existence of any allergies. We need this information so that our doctors can give each patient an individually-tailored treatment plan. The reason(s) for hair loss determine the rest of the treatment plan; temporary hair loss does not require hair implants. In order for us to examine the condition of your hair, you need to take part in a personal consultation at the PHAEYDE Hair Implant Clinic. The different phases of the treatment step occur at the modernly-equipped PHAEYDE Hungary Clinic in Budapest or Mosonmagyaróvár. The place on the back of your neck from which hairs are removed is called the donor area. Shaving of the donor area cannot be avoided, in order to get out the follicular units without a problem. The hairs on the donor area will only be a few millimeters in length. After your personal approval, we will prepare pictures before and after the hair implants or possibly a video, in order to record the result of your hair implant. After this, local anesthesia will be applied to the donor area. The hair units will be carefully and precisely removed from the neck area with the help of a hollow needle, then they will be placed in a special nutrient bath. Next will be local anesthesia on the implant area. With a special extremely thin, hollow needle we create `channels` for the grafts to be implanted. The grafts earlier removed will be transplanted step by step to the transplant area. In order to reach an aesthetic result, we need to pay close attention to the natural growth direction of the hair. Thanks to the anesthesia, the scalp will be numb during the hair implant. Your comfort is important to us, therefore we divide the procedure into two parts. During the lunch break we bring you lunch. After the lunch break we finish transplanting the remaining grafts as the second part of the procedure. The FUE process hair implants are based on a simple principle. The presently existing hair growth will be `newly grouped.` The hair units, with the help of a very thin hollow needle, are removed from the donor area (back of the neck) and implanted on the balding areas. In the S.H.E. (Single Hair Extraction)hair implant, we use an even thinner needle, thus the hair will be even thicker. The hair implant price depends on the number of hairs and the implant process (FUE, S.H.E. (Single Hair Extraction), implanting between longer hairs, grey hair). In every case the hair implant price must be determined individually, that’s how you can receive your desired hair thickness. A FUE process hair implant usually takes 8-12 hours. In order to achieve an optimal result, we implant 28-30 grafts per centimeter, which means a little less than 1,800 transplanted grafts in a day. If someone needs more than 1,800 grafts, the procedure will take two days. What do you have to watch for after the hair implants? Recipient area: be very careful, don’t touch your scalp, or if you must do so with great care. Do not rub or scratch the area. Try to lay on your side, and if possible, use a hard pillow that your head doesn’t sink into. The transplanted hairs are very sensitive, the scalp may become stiff. Donor area: After hair implant some numbness may occur, which will disappear entirely after a couple of weeks. After the 4th day some itching or even strong pain may occur. You need not worry, however, this just shows that your scalp is healing on the areas where the grafts were removed. This feeling may go on for as long as 2-3 weeks. Avoid excessively spicy or hot foods. You can wash your hair with a special shampoo which we will recommend to you. Avoid extreme physical exercise, as in sports which make you perspire. A few days after the hair implant, there will be barely visible red dots on your scalp. The micro-scars which appeared after the hair implants will disappear, and will barely be visible to the naked eye. 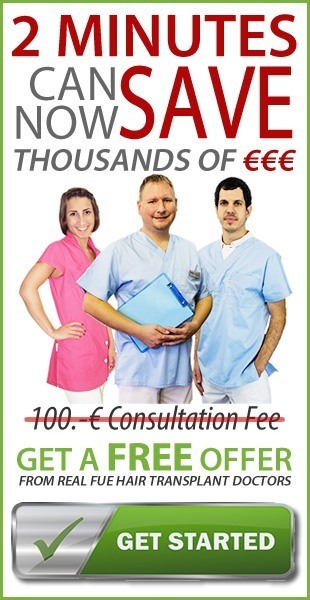 GET YOUR FREE HAIR TRANSPLANT OFFER WITHIN 24 HOURS!